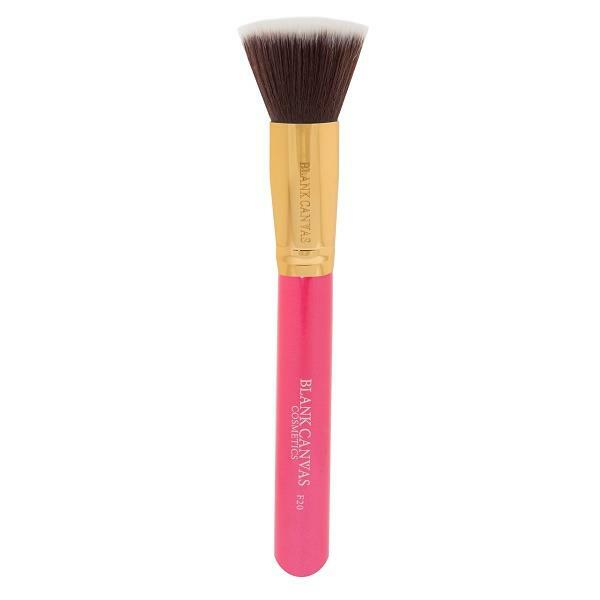 The F20 with metallic gold & hot pink handle is ideal for applying or buffing your foundation. This brush gives you a flawless finish every time. Perfect for liquid, cream or powder products.